Why does clicking on Chat at the bottom takes me to the general chat of stack exchange instead of Android chat page group which consist of the Android related chat. 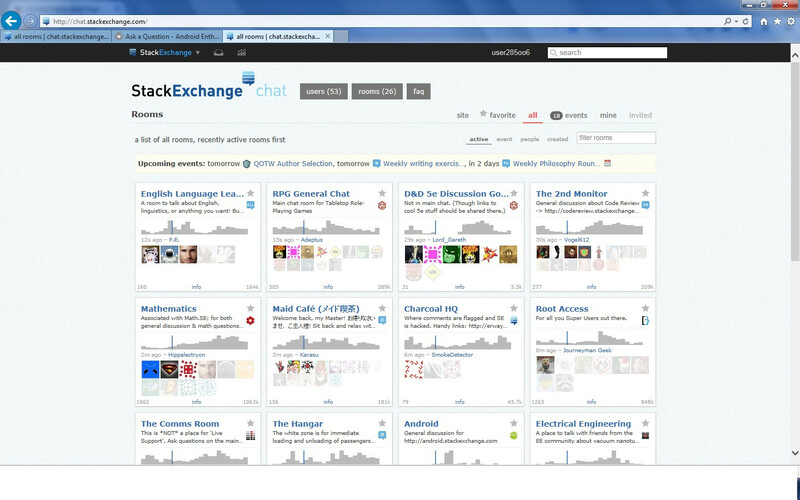 The above screen shot shows that when clicking the chat option it loads the page of the generalized chat page containing the chat groups for all the stack exchange sites which in the end is also a non-secure URL. Although the secure URL loads fine without any errors of Certification then why is it loading the generalized chat page instead of the Specific chat page.